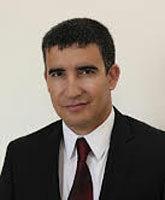 Dr. Harel Chorev-Halewa is the Head of the Desk for Middle Eastern Network Analysis at the Dayan Center, Tel Aviv University, and Deputy Director of the M.A. program for mid-career civil servants in the Department of Middle Eastern and African History at Tel Aviv University. He is a historian focusing on informal networks in the Middle East and their analysis with tools combining empirical historical study and Network Theory. In addition, he is an expert in Palestinian sociopolitical history from the 19th century to the present and the history of the Shi’ites in Lebanon. He is the Editor in Chief of Beehive, the monthly online Journal on Middle East Social Media (Hebrew and English) of the Moshe Dayan Center at Tel Aviv University.